From raucous to refined, New York City has bars all over town where music-lovers can spend an evening singing and celebrating. Check out the complete list to find the best one for your visit to NYC. There is open mic nightly at this West Village piano bar, but what's great about The Duplex is that you can also take a break in the game room and or check out some more professional performances in the cabaret theater. Not restricted to musical theater and cabaret, ​songbirds interested in pop tunes are also welcome to participate in the open mic at the Duplex. 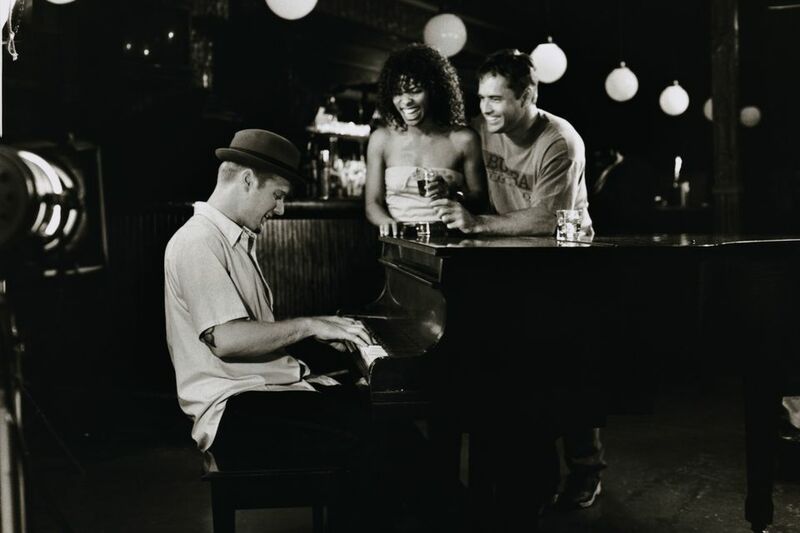 This Upper East Side piano bar caters to a mixed crowd, including both neighborhood residents and visitors from out-of-town who enjoy the friendly atmosphere. There is a two-drink minimum at tables, but no cover charge at this spot where live music starts around 9:30 p.m. and continues until 2 or 3 a.m.
Just north of midtown, Townhouse caters to a primarily gay clientele and feels more like a hotel bar than your traditional piano bar, with many drinking martinis and donning suits. Do mind the dress code, as it's pretty strictly enforced. This West Village piano bar caters to a diverse audience, but nearly all are fans of musical theater. Join the crowd around the piano and sing along to your heart's content. Don't forget to hit the ATM before you arrive, because it's cash only! Located in the Carlyle Hotel, Bemelmans Bar has entertainment nightly, which you can enjoy along with the beautiful murals of playful Central Park scenes painted by Ludwig Bemelmans (most famous for his Madeline children's book series). Address: 35 East 76th St.